Sue Yoon completed her MA in Language Teaching Studies in 2017. She started as an undergraduate student at the University of Oregon who took a few Second Language Acquisition and Teaching (SLAT) certificate courses and got hooked on language teaching and research. She also earned a concurrent MA in the East Asian Languages and Literatures Department while at UO. What have you been doing since you graduated with your concurrent MA degrees from LTS/EALL? After I graduated with my concurrent MA degrees from LTS and EALL in 2017, I went back to Korea, hoping to gain language teaching experiences outside the university setting. While I was in Korea, I luckily had the opportunity to work at an English learning center. The students who visited the center were mostly 4th to 6th grade students from local elementary schools. The center offered programs in which students learned English in a short-period (5-10 days) immersion setting. During the day, students usually had some content classes, such as peace, culture, eco, UNESCO heritage, and UN SDGs classes, and they participated in games and activities in the evening. In the meantime, I was admitted to the University of Hawai’i at Mānoa, and I have entered their PhD program in Korean language and linguistics this Fall term. What did you enjoy while working as an English teacher in Korea? I particularly enjoyed teaching English in an environment where the learning of English grammar was not the focus. I had a lot of fun teaching a variety of subject areas in English, and it was great to see how students enjoyed learning English integrated with other content subjects. It was also a great opportunity for me to design lessons and activities to teach content from other subject areas in the target language. 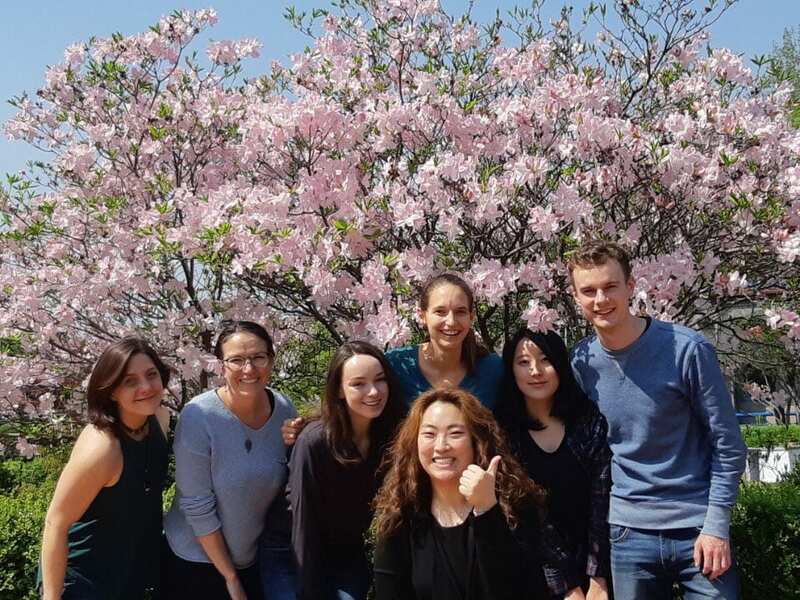 From this experience, I have learned that students can learn much more when the content is relevant to their own lives and interests and that the learning environment plays a critical role in language learning. In what ways did your MA degree(s) prepare you for this position? Since the target learners were mostly young students, it was very important to provide them with a lot of fun interactive classroom activities and games to keep them focused and interested. What I learned from Dr. Laura Holland’s LT 537 was particularly helpful because I had gained a lot of ideas for short and long classroom games and activities for different themes from the course. Also, learning what to take into consideration when designing a lesson and how to effectively sequence activities within a lesson from Dr. Keli Yerian’s LT 436 and other LT courses definitely helped me when developing lesson plans and class materials. I have just moved to Hawaii for a PhD program. 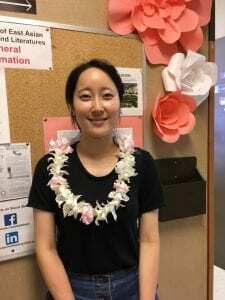 While pursuing a PhD degree at the University of Hawai’i at Mānoa for the next few years, I will also be teaching Korean language classes at various levels at the university and participating in a variety of events related to Korean language teaching and learning. What topics are you hoping to pursue in your PhD program? I have been very interested in multimodal analysis of Korean conversation. I would like to research the role of nonverbal communication cues that have not yet received attention, such as nonverbal speech sounds like hisses and oral and nasal fillers, in relation to (im)politeness and speaker stances. 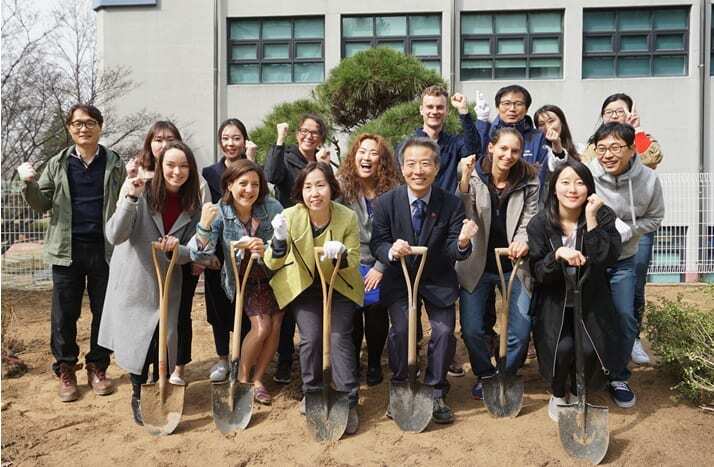 I also hope to develop pedagogical materials to bridge the perceived gap between recent theoretical findings of Korean linguistics and Korean language pedagogy. Do you have any last advice for current or future LTS students? I consider myself very lucky to have met Dr. Keli Yerian in LT 436 class and joined the LTS and EALL graduate programs. I really appreciate all the opportunities I had during my studies at the University of Oregon. All of the faculty members that I have met were always willing to help and support each student in the program. So don’t be afraid to ask for help when you are struggling with something!